Here’s a quick list of some of the things I have learnt so far from my first year of growing vegetables. Some might be useful to you if you’re starting out too. 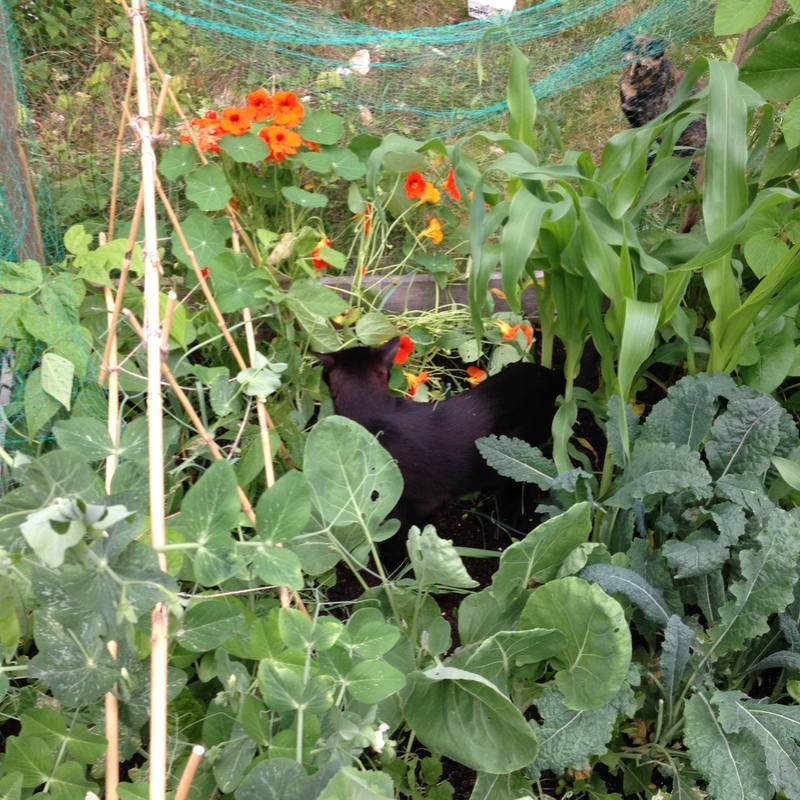 I had read that nasturtiums are a great companion plant and so I popped a few very small plants in amongst the vegetables. I think this was a mistake, because they have taken over in some places, which I was not expecting! The bees love them, and they are a tasty addition to salads (leaves and flowers) but I think next year it would be better to grow them just outside of the raised beds to allow more space for the vegetables. 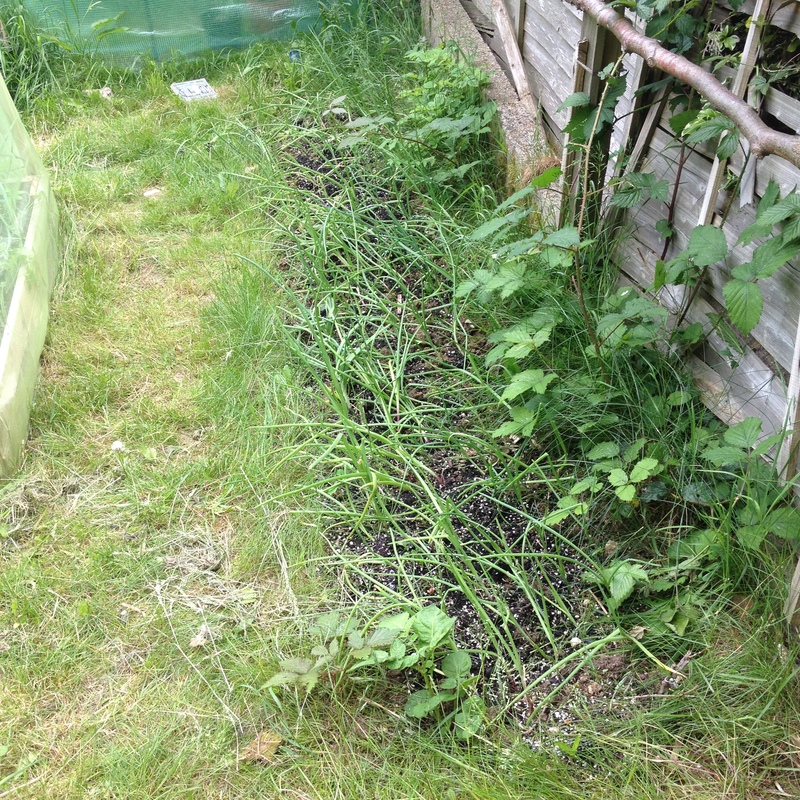 I had a bit of space alongside a hedge which I dug over and planted the leftover onion sets in. I sort of knew they wouldn’t work, but didn’t have anywhere else to plant them and thought it might be worth a try. It really wasn’t as although they did sprout, they never got any bigger than the onion set originally was when it was planted. 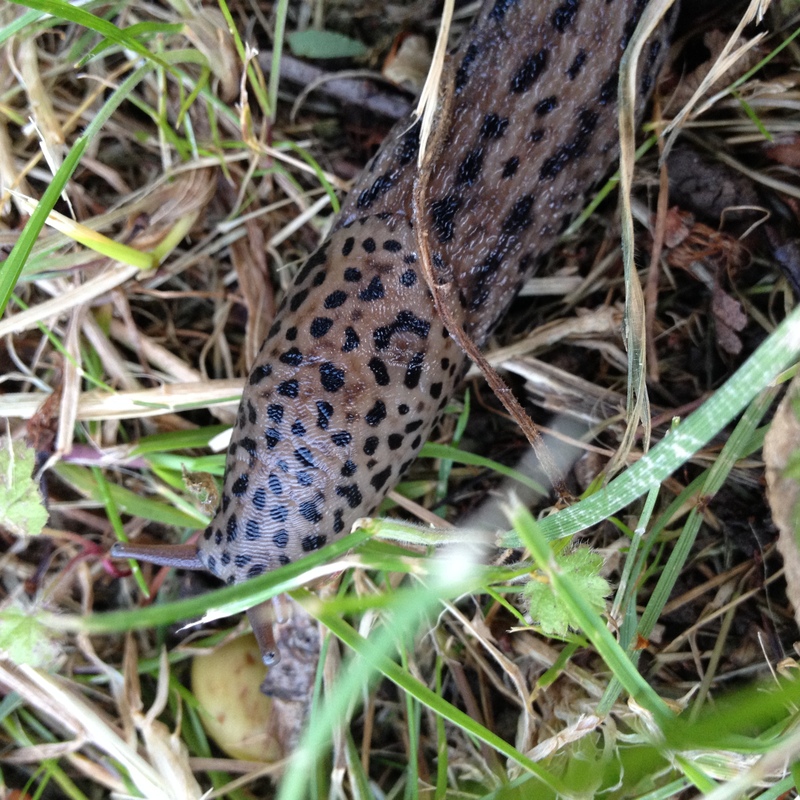 Then, they got eaten by the slugs. Next year, I’ll leave this area alone. Maybe I’ll plant some red campion Silene diocia which likes growing in shady areas. 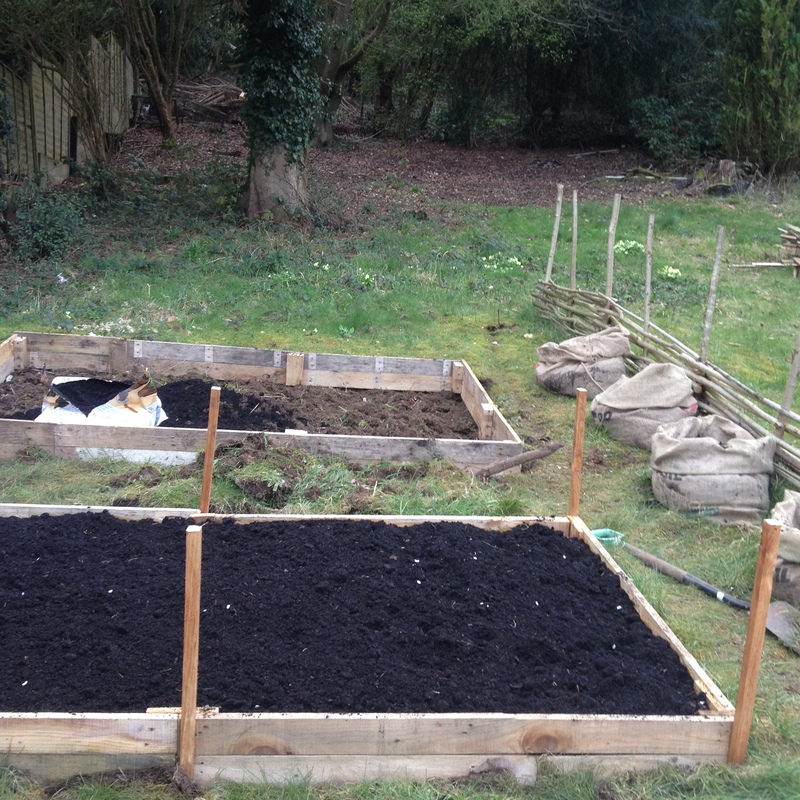 Because we were just starting up we needed to buy in a fair amount of compost to fill the raised beds and pots. We did try to find topsoil on freecycle but had no success. Trying to keep the cost down, we used compost from our local garden centre which was an organic general purpose compost, £12 for four 75 litre bags. This was the cheapest option but definitely came at a price. 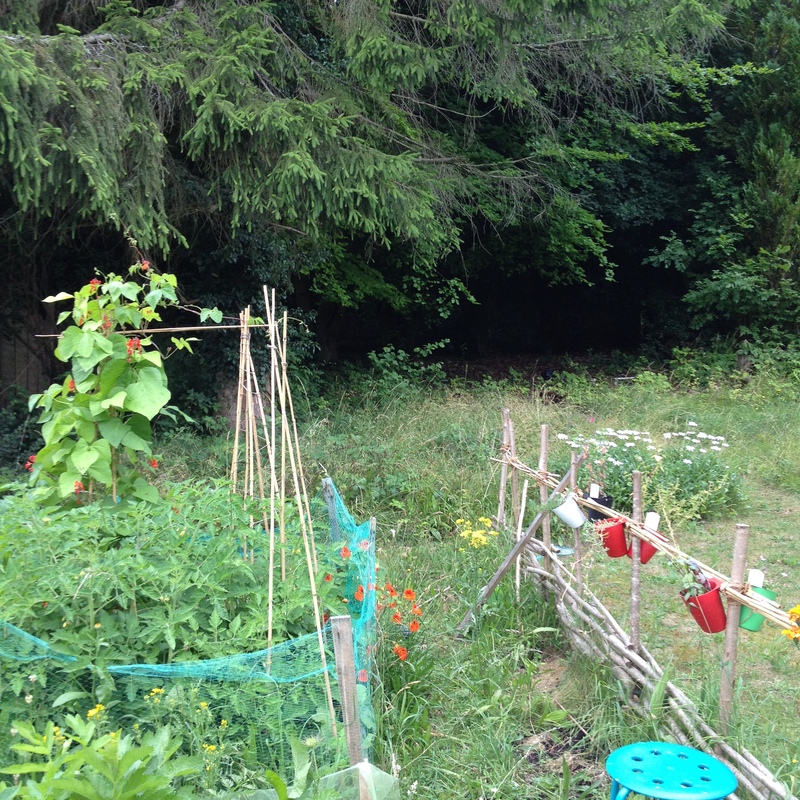 After a while, anything growing in a pot turned yellow, and the vegetable patch began to do the same. I could only assume that the nutrients we being used up, because once I fed everything with a home-made mix of nettle and comfrey fertiliser, the plants all perked up and got their lovely green colour back. We had a lot of space around the garden which I don’t want to dig up, but could have been utilised with more container plants. 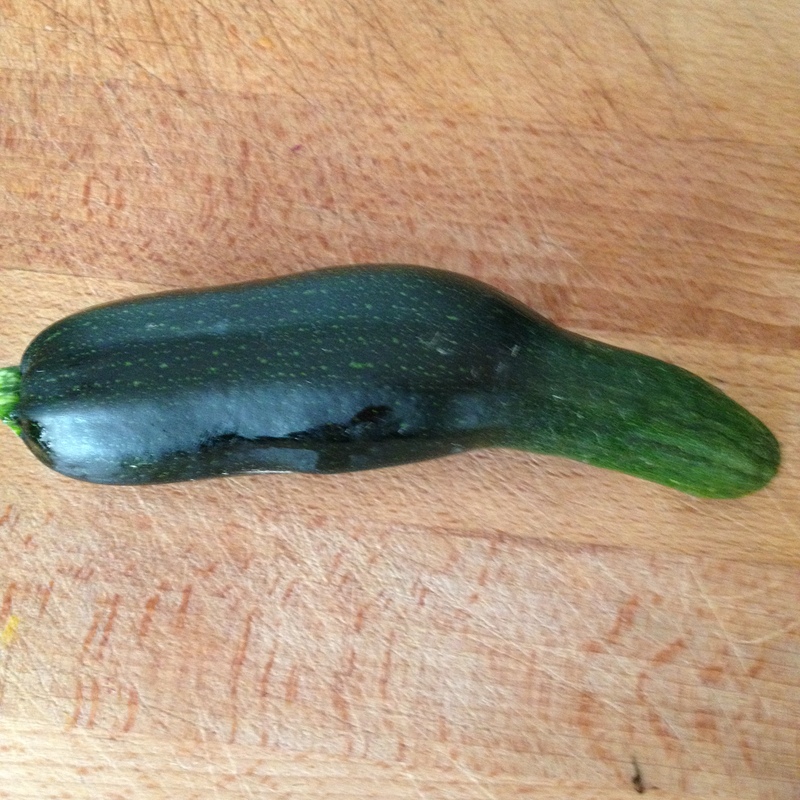 Next year I think I will try some of the smaller varieties of courgette plants as well as growing my dwarf runners in pots rather than the veg patch. They didn’t do very well because they were soon shaded out by the bigger beans. 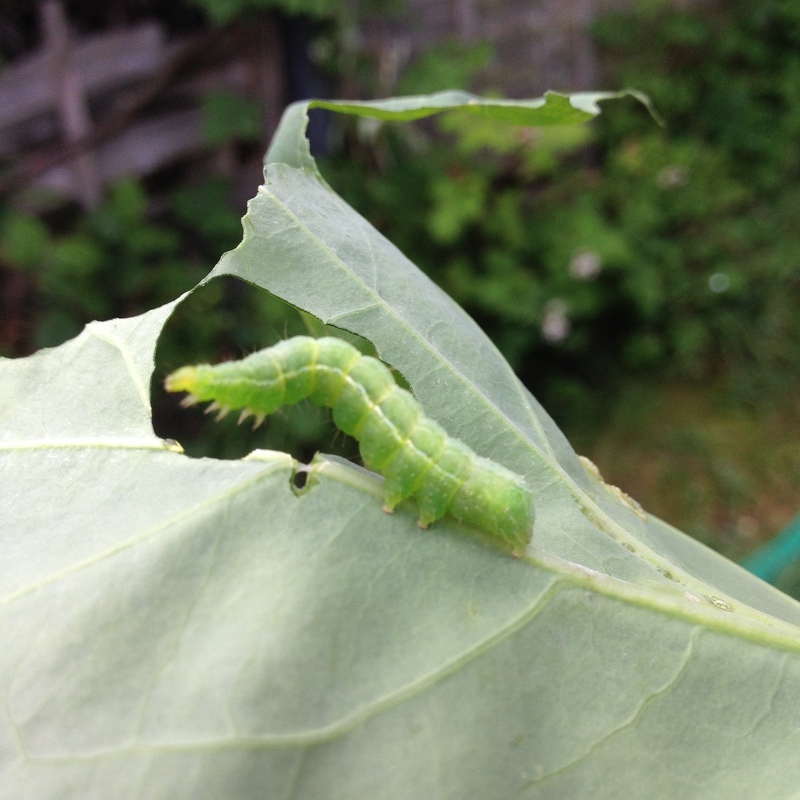 Earlier in the year around the time we were sowing seeds we used nemaslug to help control our mollusc population and it worked – we have lots of fully-grown vegetables. However I have noticed a growth in the number of slugs and snails recently and We’ve lost beetroot, french beans and potatoes. I think that a secondary dose of nemaslug is required to stop this because hand-picking doesn’t seem to be working enough. A continuation from the first point really, but serves to reiterate that it is important to only grow what your family will eat. It’s tempting to try out different varieties, new vegetables or to create that perfect mix for rotation. But resist the temptation to grow things unless you are sure everyone likes them otherwise, come harvesting you’ll kick yourself that you could be eating delicious squash, but instead you have half eaten kale. I sowed the carrot seeds quite thickly thinking half probably wont germinate and if they do I’ll just thin them later. Then I read that thinning carrots can attract carrot root fly because they can smell the carroty goodness from miles away and I wondered if it was a good idea after all. 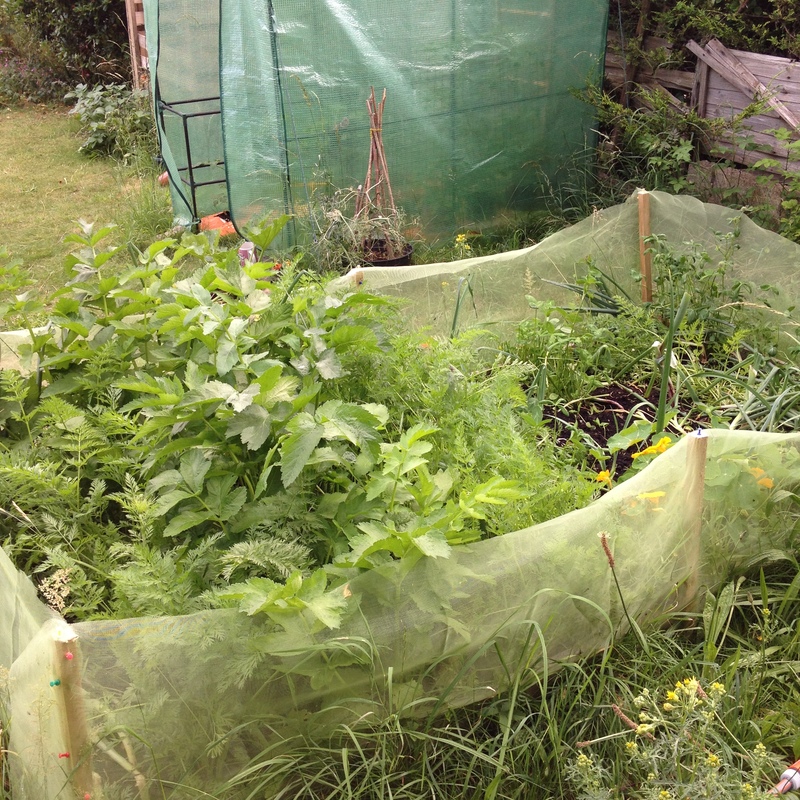 We protected the carrots with a fine mesh net all around, about 2′ high so hopefully we were safe – and I am glad I did it this way because we’ve been enjoying carrots for over a month now and there are loads left. Okay, the first ones were just baby carrots, but tasty nonetheless. 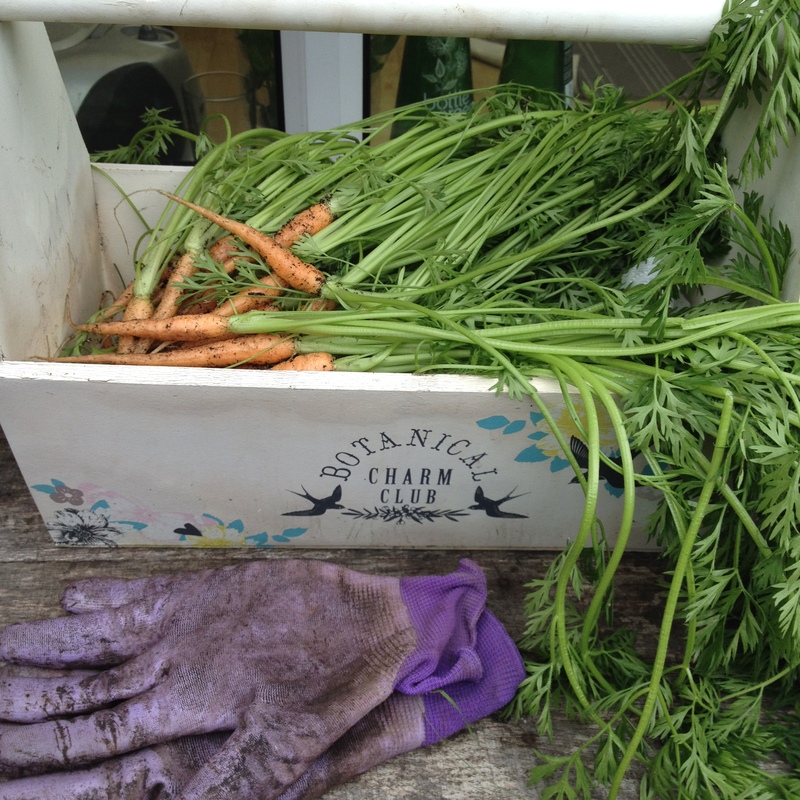 By picking out the larger carrots, the smaller ones are allowed to continue growing. Much better than thinning and chucking a load on the compost heap. This is quite simple really. We love tomatoes and there can never be enough. Both our children love tomatoes so I am not worried about having a glut, but if we do, we’ll be making tomato sauce and freezing down our own ‘tinned’ tomatoes for use in sauces throughout the year. I’ve grown four varieties this year; money maker, plum, sweet million and black cherry. 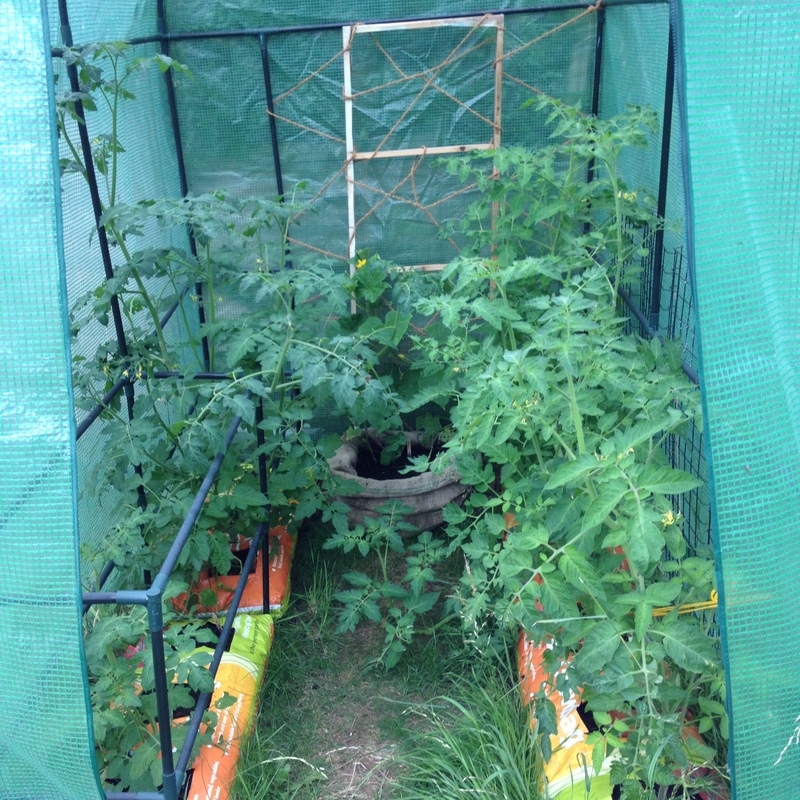 I had a little space left in the top veg patch and a few plum tomato plants which needed a home. It made sense and I popped them in the ground. They have since taken over and smothered the beet, chard and butternut squash. If I had an allotment, I’d probably dedicate a whole patch for tomatoes, but when we only have two small raised beds, the tomatoes can stay in pots.